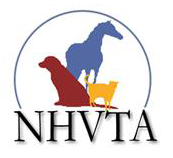 Membership card entitling you to complimentary or discounted registration at select NHVTA sponsored seminars. Membership card must be presented to ensure you are not charged an attendance fee. NHVTA email updates and up-to-date information on upcoming NHVTA seminars. Participate in decision-making processes that will impact our future as Veterinary Technicians. For more information about certification in New Hampshire visit our Certification page. Non-Certified Members can join at anytime. Membership runs from January-December. For Non-CVT support staff and Veterinarians. For students currently enrolled in an AVMA accredited Veterinary Technology program. You must include your Program Administrator's email address. Your Program Adviser will be emailed to confirm you are enrolled in a AVMA accredited program.